In this position you will be part of the Risk Management department. You will work in different teams within Risk Management: Risk Modelling and Aggregation, Model validation, and Risk Steering as well as cover topics across the three countries of the Benelux. Are you ready for an internship at our Risk Management Department or do you want to gain relevant experience next to your studies? Join our Risk Management Department at Allianz Benelux in Rotterdam and Brussels! Allianz Belgium and The Netherlands is part of the Allianz Group, one of the largest financial institutions in the world with over 85 million customers. Worldwide over 140,000 employees in over 70 countries work to maintain the leading position of Allianz. In the Benelux, Allianz has a strong position in three key markets: property insurance, life insurance and asset management. 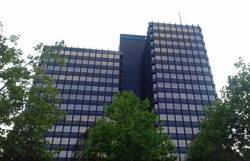 The headquarters of Allianz Netherlands are based in Rotterdam and . More information about Allianz can be found on allianz.com or allianz.nl. The Regional Risk Management function represents a key building block in protecting the company and its balance sheet while supporting risk/return considerations via contribution to Asset Liability Management as well as Capital Management. Given the broad nature of the business of Allianz in the Benelux region, the full insurance universe is covered (Life, Non-Life, Health, Asset management, etc.). We have an expert international community where hierarchy is absent and having no opinion is not desirable. We enjoy cross-functional exchange in diverse teams. Last but not least, we embrace a modern style of working and the motivation of each and every member of the community is our key interest. We make mistakes to learn, speak our minds, work hard, laugh hard and wear colorful socks/minds! Do you dare to? You will have the opportunity to learn a lot about the insurance world as well as how actuarial and risk models are used. Moreover, you will get to know Solvency II and how risk capital is assessed, estimated and managed. Studying in Belgium for our office in Brussels or studying in The Netherlands for our office in Rotterdam. Please send your application for Graduate Risk Management Internship / Working Student at Allianz in Rotterdam including your CV via our website.